Regional Market Development Director Beth Johnston accepted the Community Hero Award for Florida Blue. Gift of Life Chairman of the Board Bill Begal took the stage to present Florida Blue with the Community Hero Award, for the organization’s support of Gift of Life. Regional Market Development Director Beth Johnston accepted on behalf of Florida Blue. In the past year, Florida Blue has supported the creation of educational materials for the recruitment of new donors, and has introduced Gift of Life to an array of community partners who will help further the mission. "We are honored to receive this award, and believe that together, our organizations and community can make an incredible impact in saving the lives of blood cancer patients," said Beth. 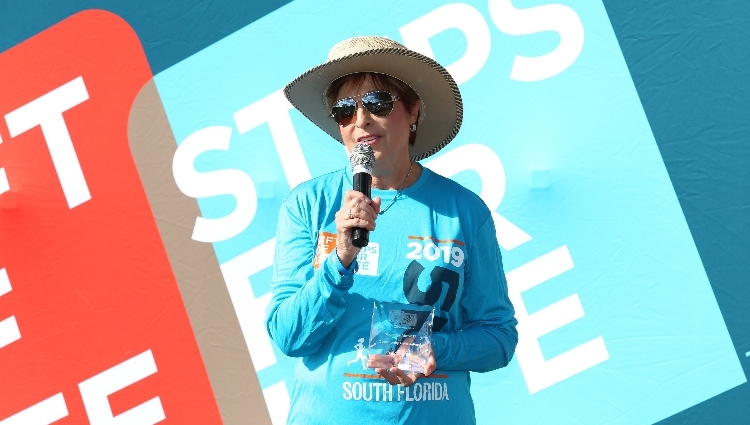 WPTV Senior Reporter Michelle Quesada was honored with the Community Hero Award in recognition of her ongoing support of Gift of Life's mission to diversify the registry. Bill then invited Michelle Quesada to the stage to present her with the individual Community Hero Award. 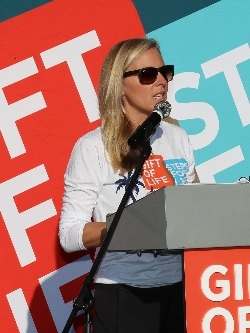 Michelle, a Senior Reporter at WPTV Newschannel 5 in West Palm Beach, has a personal passion for Gift of Life’s mission due to the tragic loss of her sister, Elizabeth, to leukemia at just 29 years old. 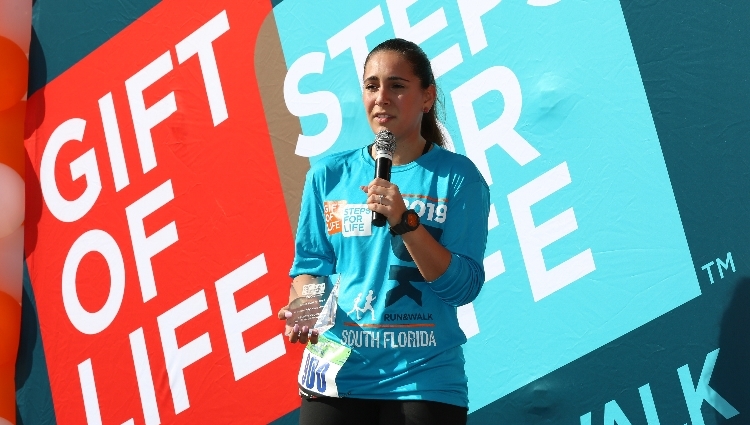 Michelle worked tirelessly with Gift of Life to tell the story of Cuban-American leukemia patient Manny Valdes, highlighting the need for diversity in the registry. Chelsea Taylor of WIRK Country Radio served as the emcee, and the station’s street team attended and provided music throughout the event. 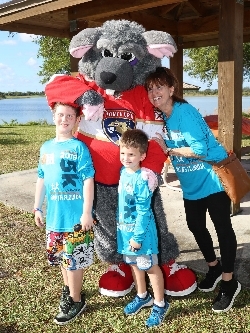 The Florida Panthers held giveaways, and one of the team mascots, Viktor E. Ratt, delighted all with his antics. 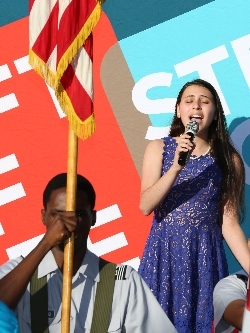 The JROTC Color Guard from Blanche Ely High School in Pompano Beach presented the colors, and Sophia Burnston, 13, a student at Bak Middle School of the Arts, sang the National Anthem. To kick off the race portion of the morning, a swarm of amazing superheroes, all aged 6 years and under, lined up to run the Superhero Sprint. Every one of Gift of Life’s littlest heroes received a bright orange cape and were awarded medals for completing the 50-yard dash. Kids found plenty to do in the Kids Zone, including face painting and creating their own stuffed bears with Teddy Bear Mobile. The top male finishers were Leonardo Canete, Nicholas Jacobsen, and Albert Dimont. Top female finishers were Kimberly Cloutier, Mari Osaka, and Amy Glick. Click here for the full race results at the Accuchip Timing website. 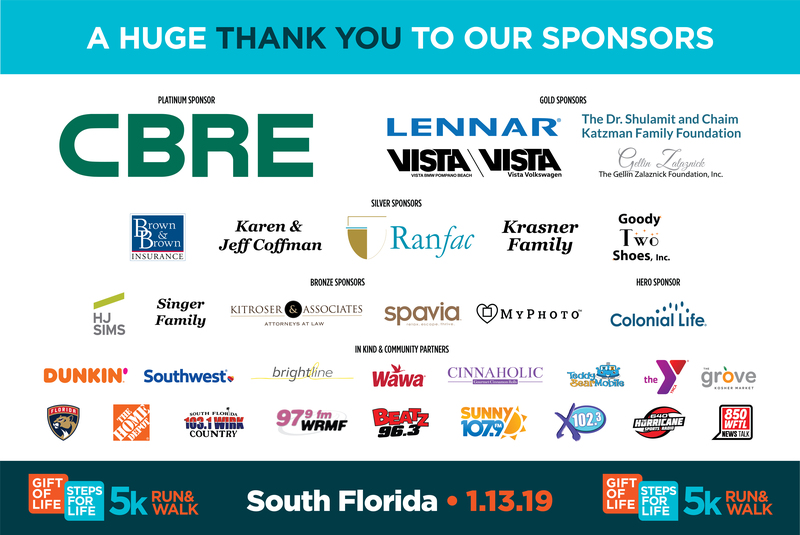 Gift of Life thanks our generous sponsors for their support of Steps for Life. Your involvement with our mission helps to save lives. 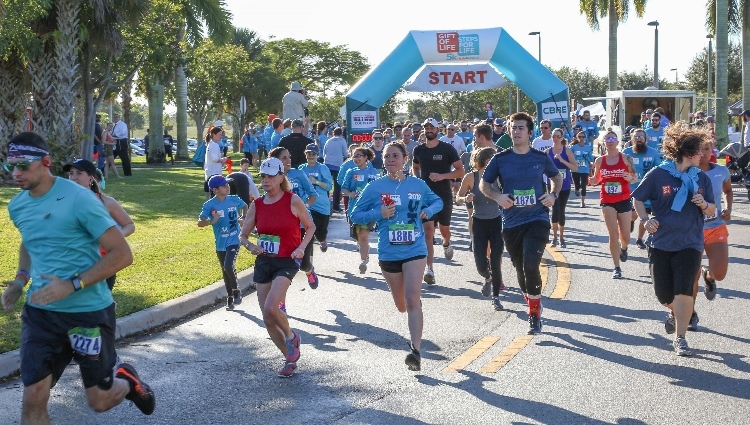 We look forward to seeing you at the Tenth Annual Steps for Life 5k of South Florida in January, 2020.